Minister of Transport Blade Nzimande has appointed an interim board at Passenger Rail Agency of South Africa to serve for a 12-month period. Businesswoman Khanyisile Kweyama is the new interim chair. Nzimande, in a statement issued on Friday, said that the country has been through changes which offer “great opportunities for renewal, revitalisation and progress”. “As espoused by President Cyril Ramaphosa during the State of the Nation Address, the Department of Transport, subscribes to this renewal project,” he said. The board members include Khanyisile Kweyama, who will be chairperson. Other members include Sango Ntsaluba, Louis Wessie, Jenny Schreiner, Nazir Alli, Doris Tshepe, Mashila Matlala. Nzimande also appointed Dr Simo Lushaba as the acting group CEO of Prasa. “This board is carefully selected on the basis of skills and expertise required to run a company of this magnitude. “Their skills set include among others the technical, corporate governance, legal, finance, risk management and human resources,” Nzimande said of the appointments. Nzimande further pledged his commitment to change the “state of paralysis” at Prasa. “This must be a thing of the past,” he said. One of the first to comment on the new board was DA MP Manny de Freitas – he raised concerns over the temporary appointments which would “do little” to solve challenges Prasa is facing. 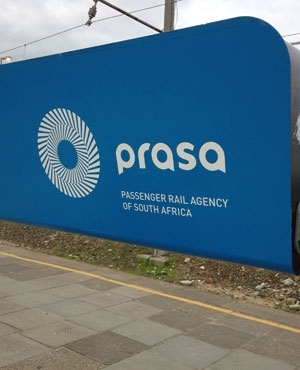 The board changes at Prasa is one of a series of changes which have been introduced at state-owned enterprises including Eskom and now most recently Denel.